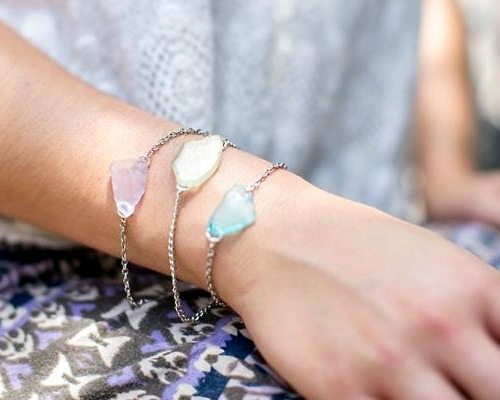 The same way you can Make Seashell Jewelry with a precious shell or a shell collection, hand picked from the beach, you can turn Sea Glass pieces into gorgeous bracelets and necklaces! 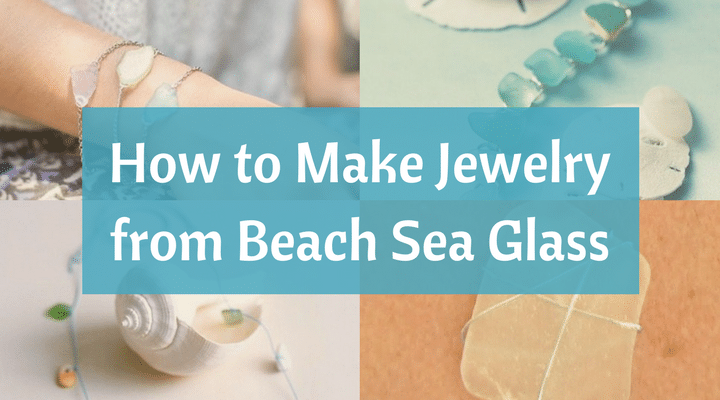 Here are a few tutorials how to make sea glass jewelry, using different techniques! For the full tutorial, please click on each link. When drilling a small hole fails, reach for the super strong E-6000 glue. 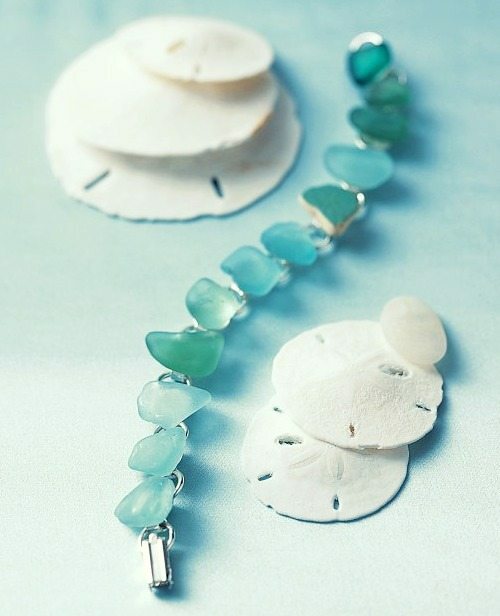 Selected beach glass pieces are glued (cement glue) to a disk-and-loop bracelet. 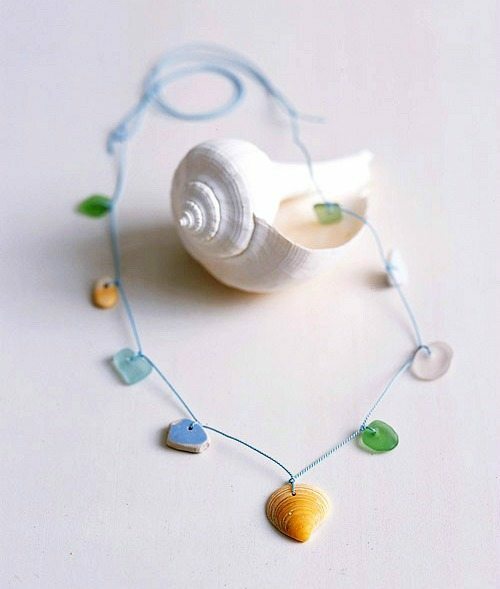 To create this mixed necklace you will have to learn how to use the Dremel craft drill. Pottery shards as well as a lovely Seashell are included. 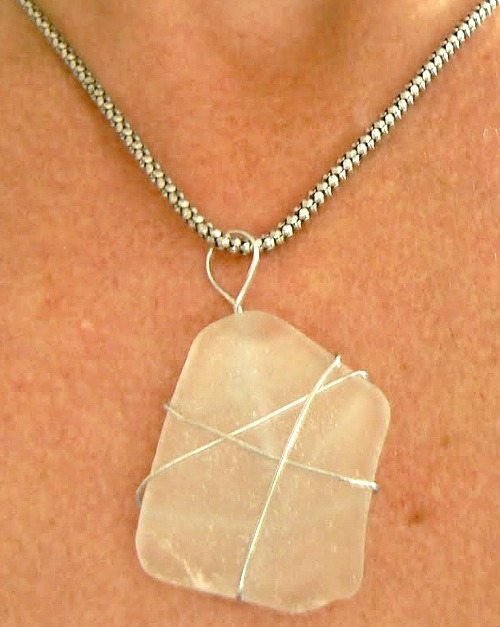 Wrap one piece of beach sea glass to create a beautiful pendant for a necklace. Beach Sea Glass sure is the prettiest garbage you’ll ever see. 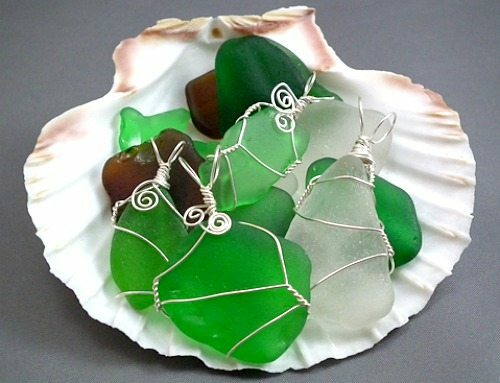 If you are lucky you have a beautiful ocean tumbled sea glass piece (or pieces) that you can turn into one of a kind jewelry with meaning!